The work we did includes a new bone nut. 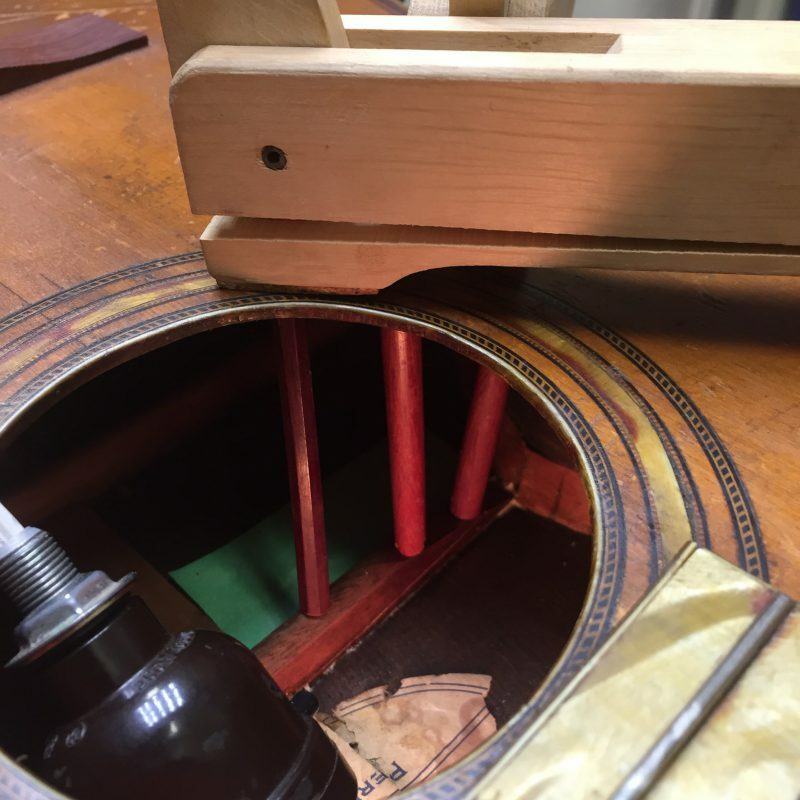 Here we see apprentice Kevin John setting the string spacing, which must be quite precise for a comfortable feel in the player’s hand. The saddle slot in the new bridge was shallower than we like to see so we (very, very carefully!) 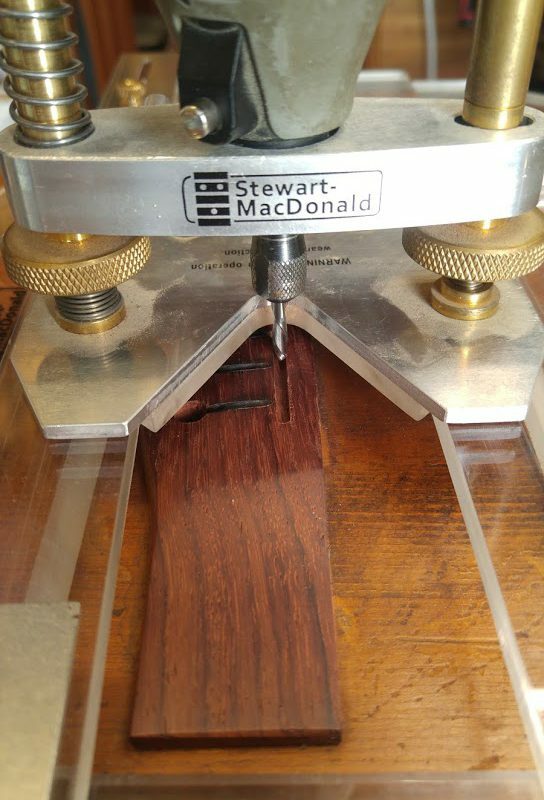 deepened it using a dremel and this handy jig from Stew-Mac. 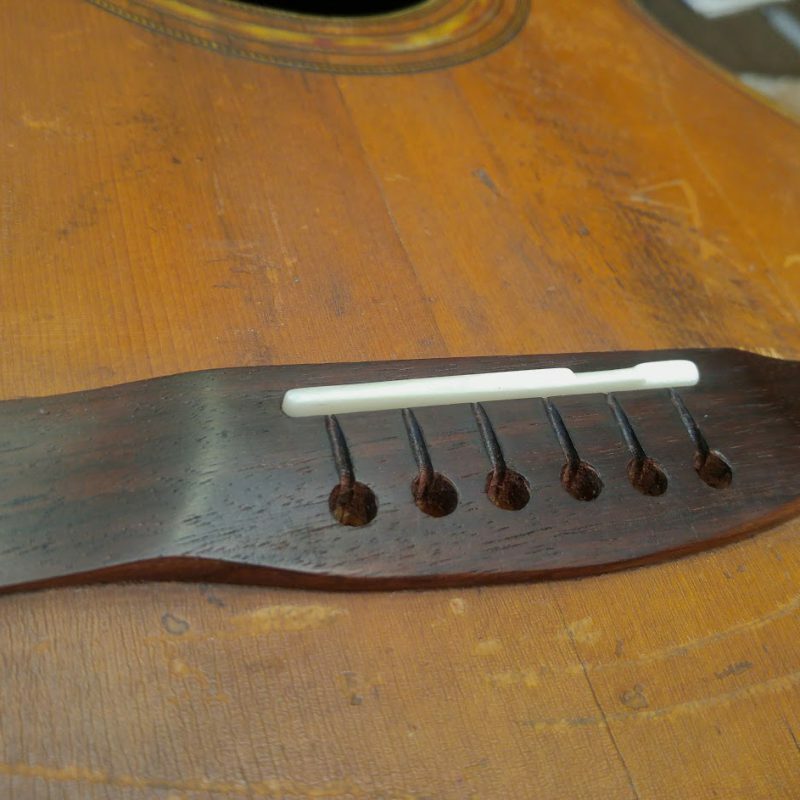 New Intonated bone saddle made for the deepened saddle slot: we also brought the action up to amend some buzzing that was happening along the bass strings when we got it, and stained the bridge to better match the overall aesthetic of the guitar. 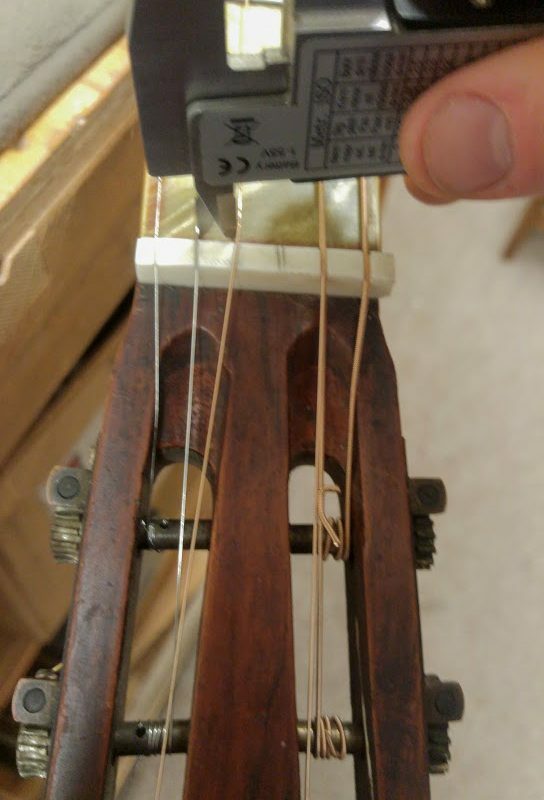 Kevin getting creative by re-purposing violin bows into go-bars in order to glue cracked and loose bracing inside the guitar. 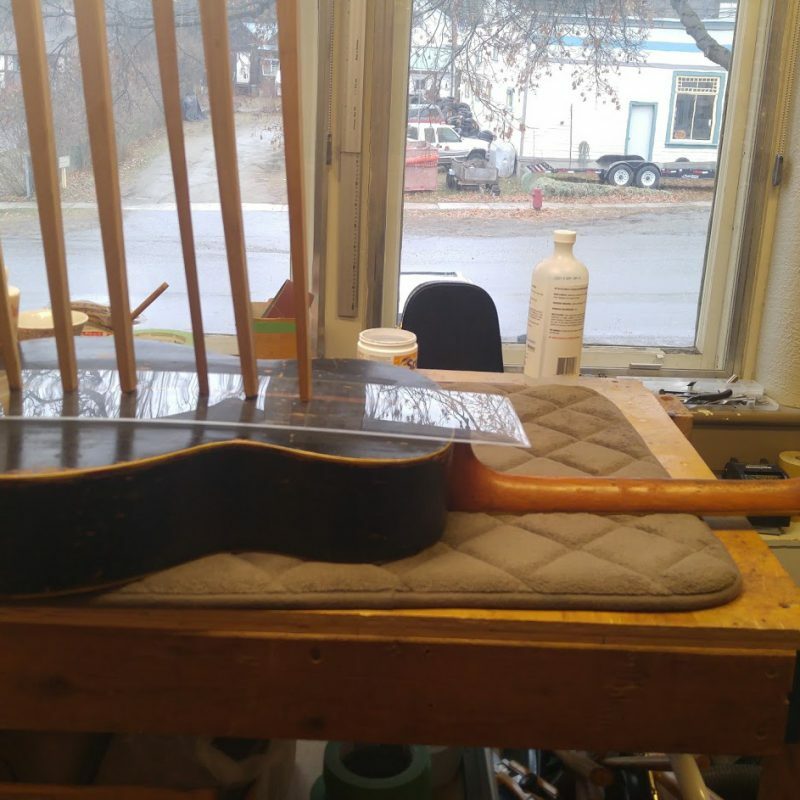 This old gal still has many miles and many songs in her before she is done. 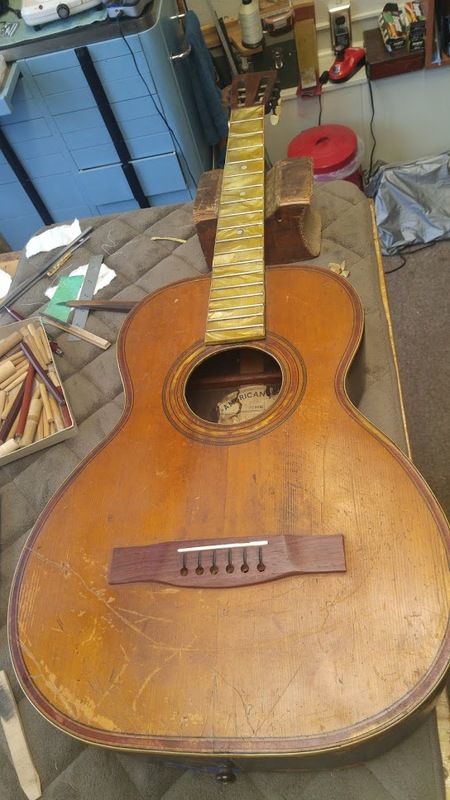 An instrument, when taken care of, can out live its maker, can be passed on from one generation to the next. In fact as the wood ages it cures and the tonal qualities improve.